Recently, a brother told me about how the enemy delayed him and his wife in the area of childbirth. He tried everything to have a baby but did not succeed and then he went to a man of God for prayer. The man of God prayed for the couple and gave them the assurance that their prayer was already answered. After a few days, the minister called the man back with a vision God had shown him. In the vision he saw a boy kept in a bottle. The bottle was then buried in the ground. The minister then dug up the bottle, and the boy inside smiled at him. He asked the Lord what the vision meant. The Lord stated that the boy inside the bottle was the son, the couple had prayed for. The enemy had used witchcraft to lock up this area of their marital life, causing years of delay. The Lord told him that since the bottle was opened and the child set free, the couple would have a baby boy in the not-so-distant future. The couple was blessed with a baby boy not too long after that. • Every evil container holding my blessing, release my blessing now, in Jesus’ Name. • Lord, let your resurrection power exhume all my buried blessings, in Jesus’ Name. Only God knows the reason behind delays in people’s lives. However, the good news is that no matter the reasons, we serve a God who specializes in ending delays. I trust that by the time you finish reading this book, you will discover how to break away from the delays in your life. “To put something off that could have happened now. To postpone to another time something that could have been done now. Just by looking at that definition, it is clear that the spirit of delay is a terrible spirit. When it comes against a person, what should happen now is put off until a later time. Progress is hindered and this hindrance usually leads to great frustration. An unfortunate fact is that this situation is a common warfare unleashed against humanity. I have confronted this spirit in many deliverance services and have never been in a mass deliverance session where this spirit did not manifest. In fact, in any deliverance service I hold, the spirit of delay is usually the first spirit I go after. Go to any gathering and ask for a show of hands by those who are going through delay in one area or another; I can assure you that a majority of the people present will answer in the affirmative. It is a common affliction. 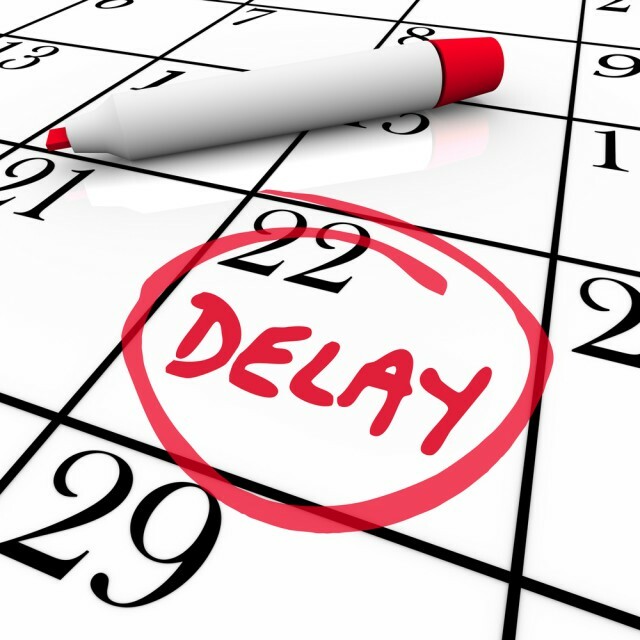 Sometimes these delays begin before conception. Imagine a mother that has difficulty getting pregnant. After overcoming delay in this area, she is confronted by an unusually long pregnancy. I have seen women in Africa with seven to ten year pregnancies. The baby and the womb are tied by witchcraft forces. Cases like these are best ended by the power of prayer. The baby finally arrives, but the spirit of delay is still present. The baby is delayed in being able to sit and delayed in being able to crawl. Learning to walk becomes an uphill battle. The elementary education that takes others six years ends up taking this child eight years. The same thing can affect both the child’s high school and college educations. While the scenario I have painted may not be very common, I have personally seen such cases in more than a dozen lives. A Christian brother once told me about how the history of his life had been one of delay in his academics. He managed to struggle to the university level. Graduation day came and he adorned himself in his graduation gown, mingling merrily with his classmates. However, upon looking through the names of the graduates, he discovered that his name was not on the list. What saved him from embarrassment was the fact that the graduates were not called out one by one. He would have been the only one dressed up but not actually graduating. After the ceremony he went to the registrar’s office and was told the omission was a mistake by the clerk who keyed the information into the computer. He thought that was the end of the story. After eight years he came back to the university to pick up his diploma and there was yet another delay. He was told there was no diploma on record for him. He had to go through a drawn-out process before the new vice chancellor agreed to sign his diploma. Even though he was a child of God, he was under the control of the spirit of delay. If there are things that ought to have come to pass in your life but you are still struggling to see the breakthrough, the spirit of delay may be at work. There are people who, as far as God is concerned, should have gotten married at twenty-five, should have graduated at twenty, should have closed on the house they were trying to sell within one month, should have had a baby one year after marriage, should have passed their professional examination at first sitting, were it not for the influence of the spirit of delay. Prayer Point: O Lord, make every history of delay in my life become history, in Jesus name. Many times God uses the medium of dreams to alert us to the operation of the spirit of delay in our lives. Unfortunately, many are not trained to listen to the warnings in dreams. I have written extensively about the subject of dreams in my book, Dreams, Visions and Spiritual Warfare. • Waiting at a bus or train station or an airport, but the bus, train, or airplane never arrives or you sit in them and they never move from one spot. • Wanting to run but running in slow motion. • Driving a car that does not move even though the accelerator is pressed down. • Driving a car that gets stuck in the mud or gets stuck in the snow with the tires just spinning in one spot. • Finding yourself beside stagnant waters. • Sitting for an examination but never finishing before the allotted time is up. • Dreaming of snails, crabs, or padlocks. • Cooking food that never gets done. • Going somewhere but not finding the way; just roaming around. If we can only pay attention to our dreams, many of our problems will be easily discovered and dealt with. I plead with you to take a closer look into your life. If everything is at a standstill or your progress moves at snail’s speed, the spirit of delay is at work. When you are kept in a place longer than normal, the spirit of delay is at work. When you are kept from going to your destination at the appointed time, the spirit of delay is at work. When you are delayed from “on time arrival” or by the time you ultimately arrive, it may be too late to do what you need to do. I remember a time when I was traveling from New York to preach in the Philippines. First, I had to take one flight to Los Angeles and another one to Manila. Before I left New York, I called my hosts and told them to expect me the next day at about 10:00 P.M. Unfortunately, things did not go as expected. There was a long delay leaving New York. By the time I arrived in Los Angeles, it was too late for me to make my connection. This example illustrates the problem with delays. You may get to where you want to go, but it may be too late to do what you want to do. The spirit of delay will make things take off without you. It will make you have dreams that never come true. It will disconnect you from those with whom you are supposed to be connected. Others will get to the intended destination long before you do. An individual earned a degree in architecture. When he went to college to study architecture, pens, pencils, and rulers were used on the board. He graduated with distinction; he had all A’s he was the best in the class. However, when he got out of school, the spirit of delay came against him. He sat for his board examination for four years and failed every year. Consequently, he took up a job in a security firm. After working there for four years, he was posted to work in an architectural firm. There at the firm, they found that he had a degree in architecture, and decided to hire him. At the interview, he was given a computer to draw some things. Unfortunately, when he got his degree, computers were not in use for architectural drawings. He could not fit in; hence, he lost the opportunity. You can now understand what I mean by getting to your destination and not being able to function and enjoy it. 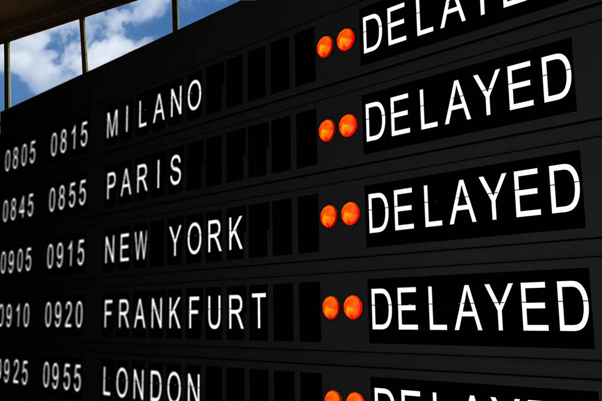 The spirit of delay is a very serious issue. It is a problem that needs to be dealt with and overcome quickly. Of what use is it to marry late, have a baby late, and retire when the child is only ten years old? The parents’ finances will be too limited to give the child a decent education. You must believe God to give you an early breakthrough. You need your blessing while you can enjoy it. • Lord, let me have my blessings while I can enjoy them. • Let every barrier holding me back be consumed by the fire of God. • Every household wickedness determined to keep me from moving forward, be disgraced, in Jesus’ Name. • Every clock of my life that is at a standstill and every clock of my life that is working counterclockwise, receive divine visitation. • Speed up your blessings into my life, O Lord. There are a number of lessons we can learn from this passage as we continue looking at the subject of delay. The first lesson is that the spirit of delay can come against a true child of God. Daniel was called “greatly beloved” by the angel, yet he had a delay in his life. This case in point should caution us about judging people that are experiencing delays in their lives. Not everyone going through seasons of delay is living in sin. When you see a Christian who is delayed in getting a job, delayed in getting a wife, delayed in getting a husband, delayed in getting a healing, delayed in seeing the fulfillment of a prophecy, delayed in having a child, or delayed in passing an examination, please take care not to judge them. Not all who are delayed are sinners. The second lesson that we can learn from Daniel is that even men and women of prayer can experience stagnation in their lives. Daniel was a man given to praying and fasting, and yet the enemy still attempted to delay him. You can now understand why I said this subject is such a very important one. God led you to pick up this book because he wants to open your eyes and deliver you from what many people are being afflicted. If a man as holy, as prayerful, and as “fasted up” as Daniel could be faced by delay, is there any hope for the one who lives a careless, Christian life? When I read the portion of the book of Daniel that details Daniel’s delays, I just stand amazed. One would have thought that a man who could escape a lion’s den would never be touched by the spirit of delay. No matter your spiritual accomplishments, it is still necessary to contend with this wicked spirit. Delay can become embarrassing at times. People have seen how dynamic you are in faith and the exploits you have done in the name of the Lord. Suddenly, the spirit of delay comes and hits you. And they say to you, “Dan or Daniel, physician, heal yourself; we thought you escaped the lion’s den and here you are kept in one place these twenty-one days or twenty-one months.” What can be even more troubling is the fact that you have prayed for others without fasting, and they have been delivered from their delays. Now, it’s your turn; but one day turns into twenty days and you are still struggling to have a breakthrough. Cheer up! The Lord will have mercy on you. Don’t weep anymore, don’t be depressed anymore, and don’t go under the cover and say you are not coming out anymore. What you are facing right now is going to come to an end. There is no hill without a crest, there is no mountain without a peak, and no problem ever enjoys eternal life. The stagnant phase of your life will soon turn into a relay race that will usher you into a mighty breakthrough. The Lord who gave Daniel a breakthrough will give you your breakthrough too. Do you know the blessing you are crying for is on the way? The very day you knelt down and prayed for it, God sent it. You can therefore look at your ring finger and say, “My spouse is on the way.” You can look at your womb and exclaim, “My baby is on the way!” You can look at your bills and confidently say, “My financial breakthrough is on the way!” Cry no more, weep no more, and do not be sad any longer. It is coming. It is on the way. In the name of Jesus, your wife is coming, your husband is coming, your baby is coming, your promotion is coming, your success is coming, and your anointing is coming. It is around the corner. That leads me to my next point. The enemy loves to hold up that which God has sent to his children. The angel said that the day Daniel prayed, God answered, but there was a hold up in the heavens. The spirit of delay will hold things up for as long as it is allowed. I admonish you to do what Daniel did. Even though you have not seen the answer, do not abandon prayer. Keep calling on God. Your fervent prayers will eventually bring the blessings down.